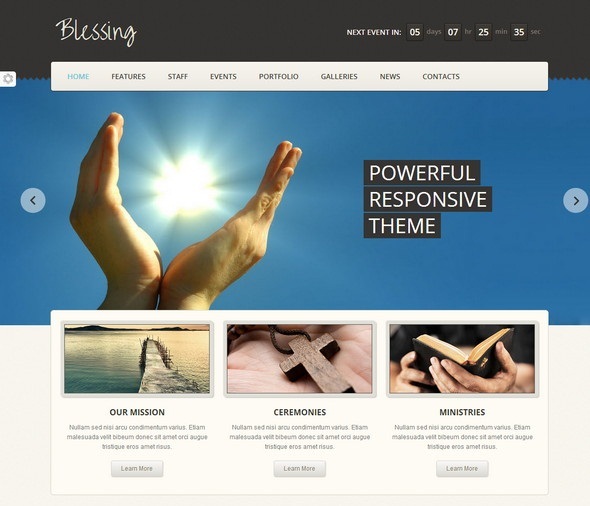 Religious as well as non-profit charity website templates are introduced in this topic which are HTML 5 ready and fully responsive in design. 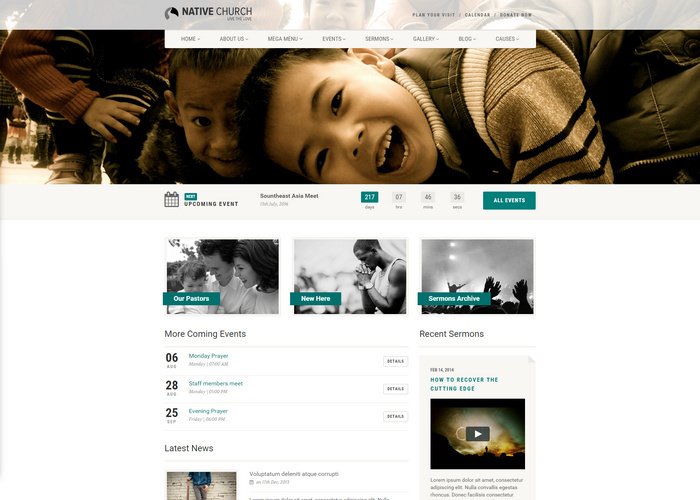 Sunday church events, news can be added easily to these html templates with little knowledge on html code. Charity templates on the other has will have donate buttons to encourage donations. 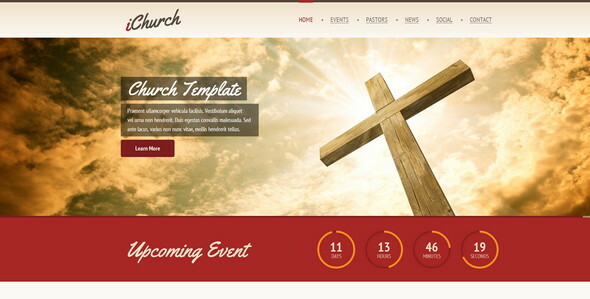 You can also do the same with church templates. 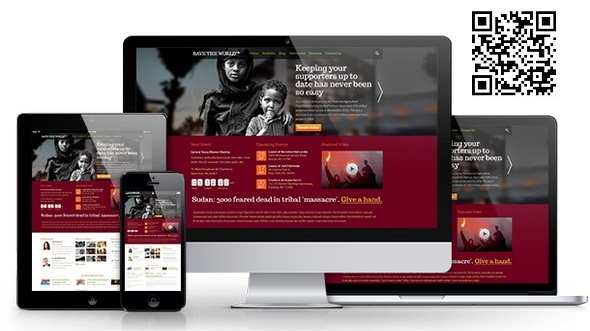 Here in this article you will find 26 best Responsive HTML5 Church and Charity Website Templates which can be used as your modern day website. New updates for these theme collection with 2017 themes has been added so make sure to check and buy the new ones if you like the theme design. 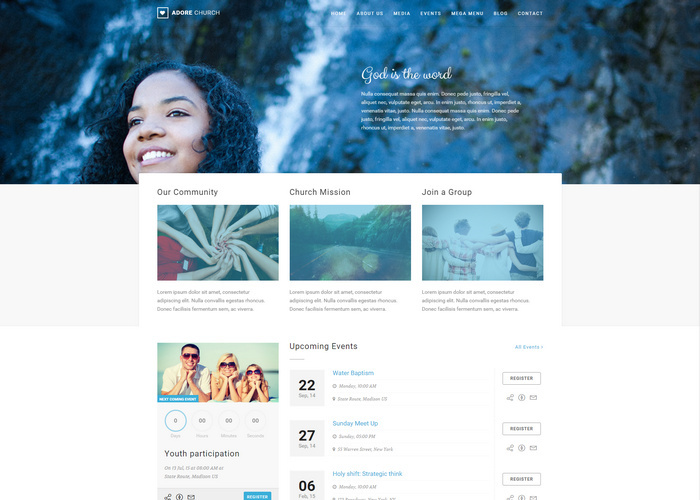 A modern template based on Latest Bootstrap framework with many intuitive features for churches, non-profit organizations. Includes all essential pages like Sermons, Ministry, Prayers & worship page and more. 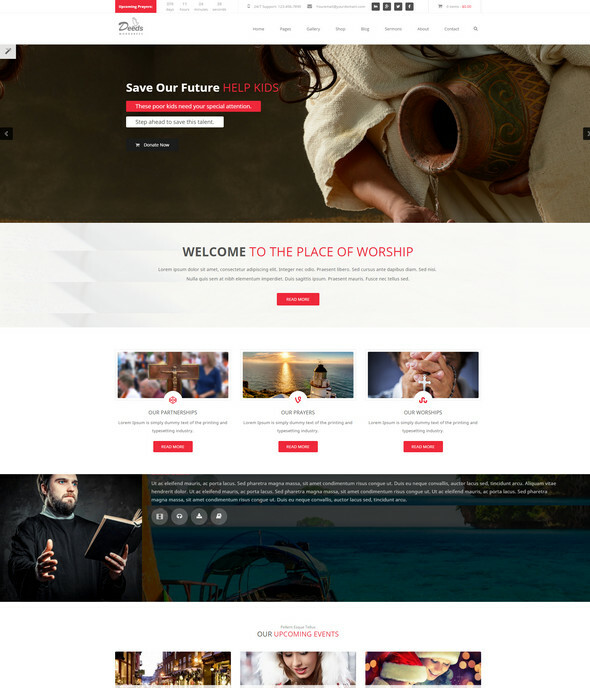 Deeds is a premium HTML website template for building an innovative website for church, charity, fundraising, donation organisations in style. With a sharp retina responsive design this template will be great to look at on any modern day handheld device. Overall the simple looks of this template is the key to show extreme care and love. Bethlehem is a clean and modern template just for your Nonprofit organisation with many features like Sermons and Events section/pages, Donations sections/pages, Commerce Shop and its social networks ready with lot other features. A religious website template made with bootstrap framework and clean contact forms, online giving panel, sliders is responsive in design. 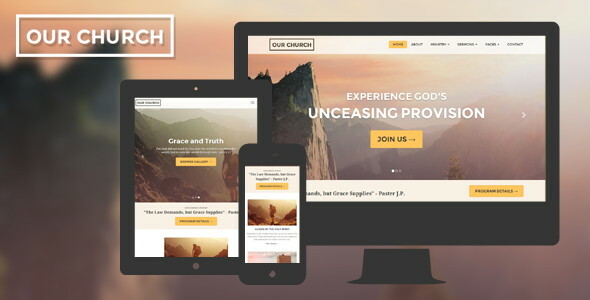 iChurch combines beautiful and unique into one great template suitable websites with religious theme and can be used as OnePage template or Multipage site. 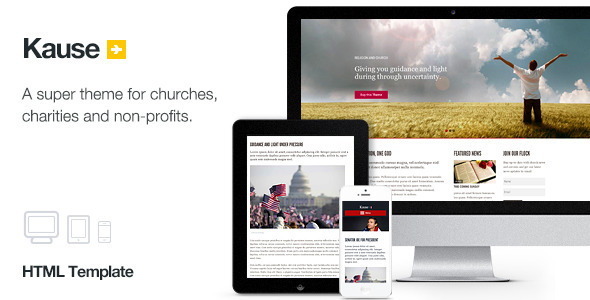 Vineyard Church Theme- is a flexible flat HTML5 Template made specifically for churches. The template is using Bootstrap3. 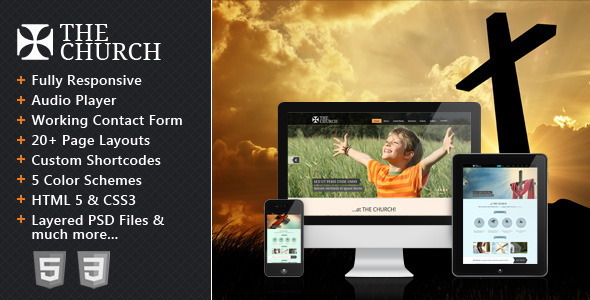 The Church is a website template suitable for any kind of church, Christian organization or non-profit websites that needs a feature rich yet beautiful presence online. 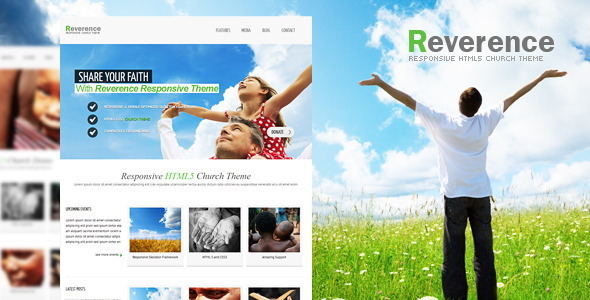 Reverence is a Responsive HTML 5 template for religious origanizations, churches, or charities. 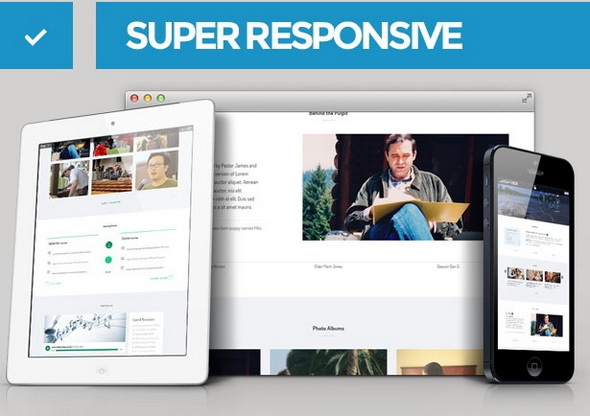 It uses a Responsive Framework so it’s compatible with all mobile devices. 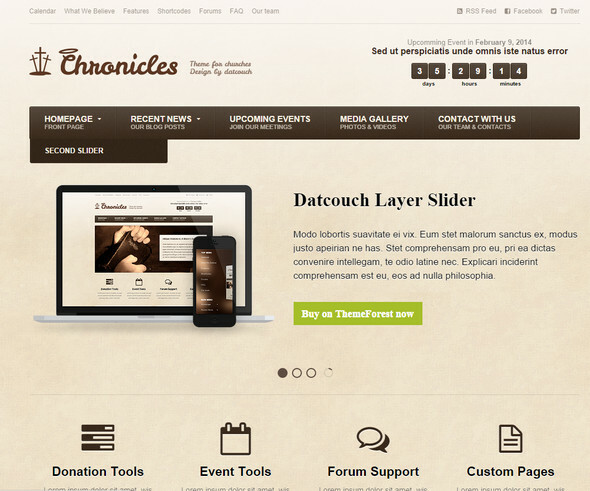 It comes with several home page options including the amazing Revolution Slider. 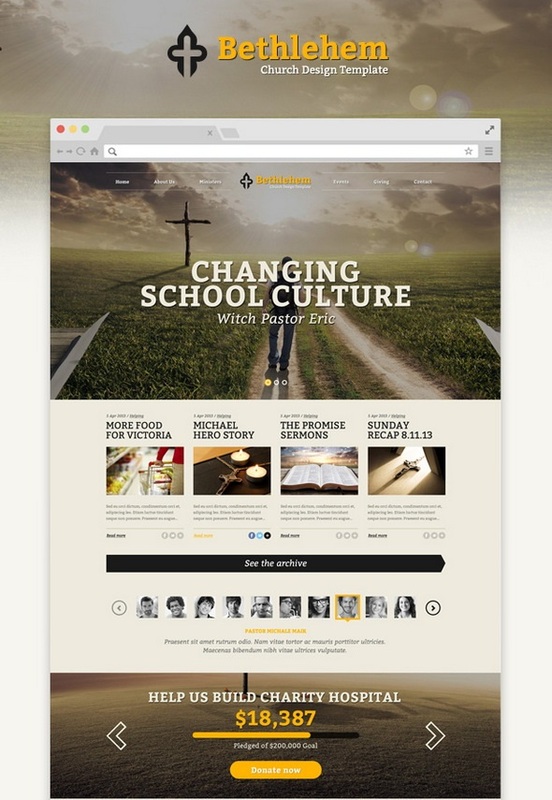 Reverence includes over 20 HTML pages, with virtually endless customization possibilities. Also includes a functioning out of the box contact form. 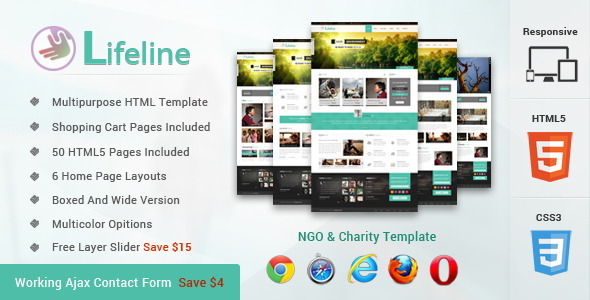 Lifeline is a clean, fully responsive, highly flexible and beautifully designed template which is provided with six (6) unique homepage layouts to best suit the advanced requirements of your Charity Website Template or NGO Website Template website. 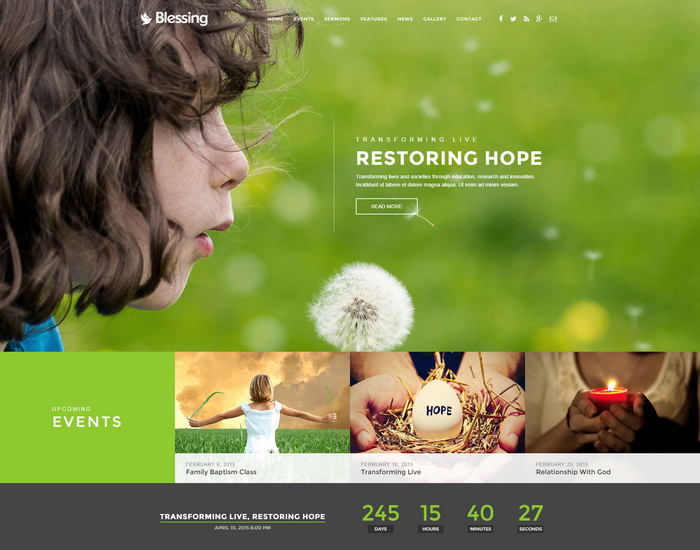 A beautifully designed multi-page multi-purpose website template, perfect for charities, churches and non-profit websites in including political campaigns. Kause is clean and minimal and puts direct focus on your message. 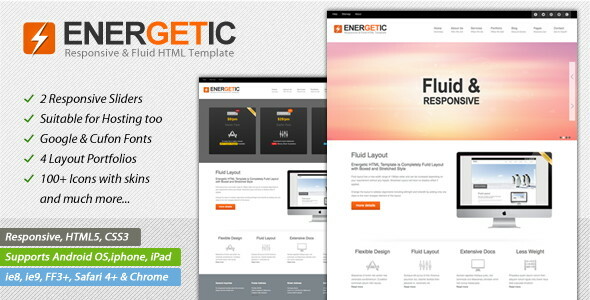 Energetic is clean and professional template suitable for business / portfolio / hosting websites etc. Its created using the latest technologies like HTML5 and CSS3. With a responsive design it is compatible on any devices like tablet, iPad, iPhone, and Android Phones too. 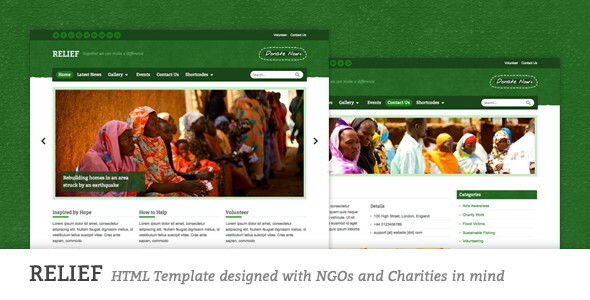 Relief is a website template designed with Charities and other non-profit organisations in mind. 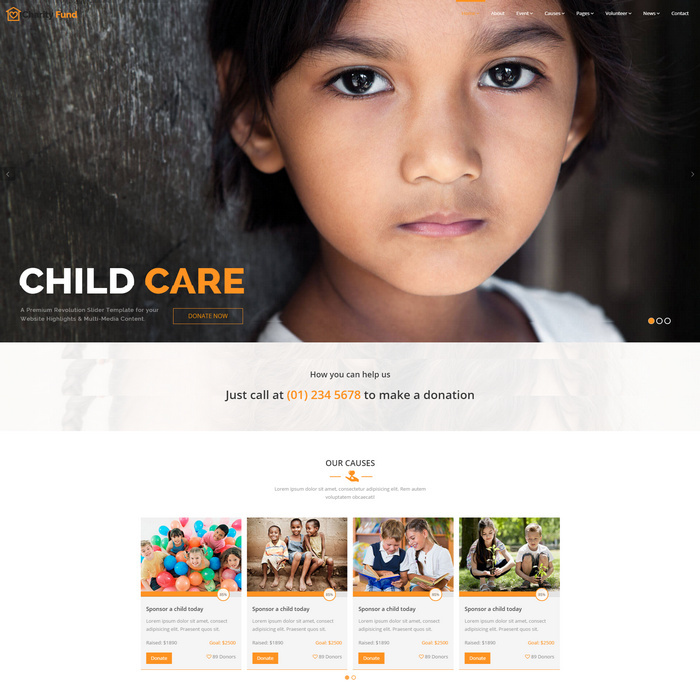 SaveTheWorld is an excellent responsive site template for nonprofit or charity organizations. It was created as a universal website template for people who need an easy and modern instrument to create their own websites according to the latest trends. 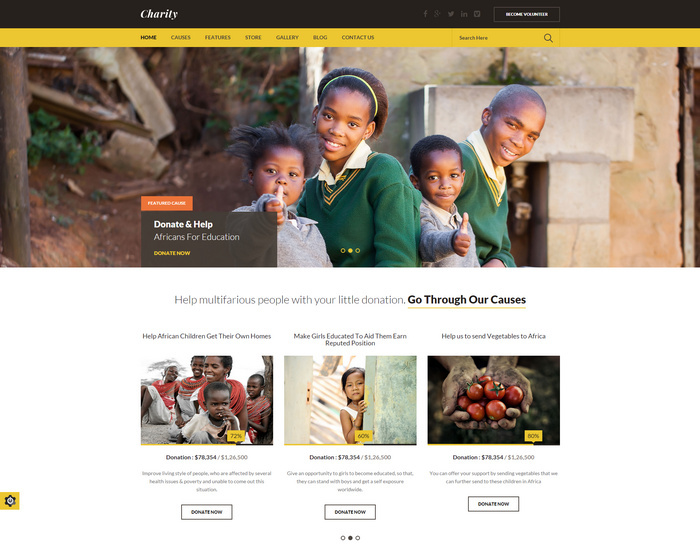 Charitas – is a simple and clean but still professional template suitable for Charity, NGO, Foundations and it’s created by using the latest HTML5 and CSS3 techniques. The responsive design makes it easily usable with any device (Desktop, tablet, mobile phone…), without removing any content! 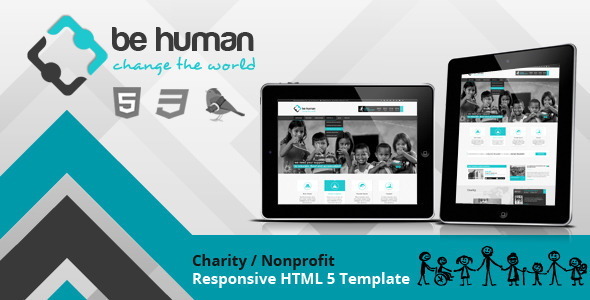 This is an html template specially designed for NGO’s and Business Organizations. The theme is easy to modify and ready to be up and running out of the box. The PSD files included have been customized to allow fast skinning. 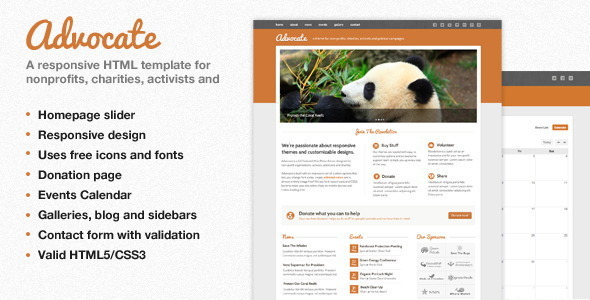 Advocate is a responsive HTML template ideal for nonprofits, charities, activists and political campaigns. Clearly display your events, news, sponsors and programs making it easy for users to donate to and learn more about your cause.